Next in May, I’ll be at the Watch City Festival May 12 & 13 in Waltham, MA presenting with Jaymee Goh! 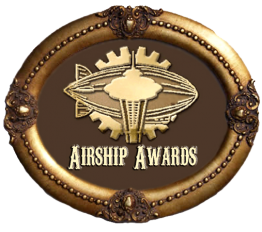 CDIA (Screening Room) 1 PM — Culture Shocks: Is Steampunk Really a Subculture? Annnnnd on June, a new convention for me: PortCon in Maine from June 21 – 24, where Lucretia Dearfour and I will be their Steampunk Guests of Honor.